The European Association of Urology (EAU) “Update on Prostate Cancer” meeting was held in Vienna, Austria, on Friday and Saturday, and Dr. Zachary Klaassen was again busy providing summary reports on presentations for UroToday. Dr. Monique Roobol, of Erasmus University Medical Center, Rotterdam, The Netherlands, discussed “Prostate cancer screening: how to use PSA in 2017“. 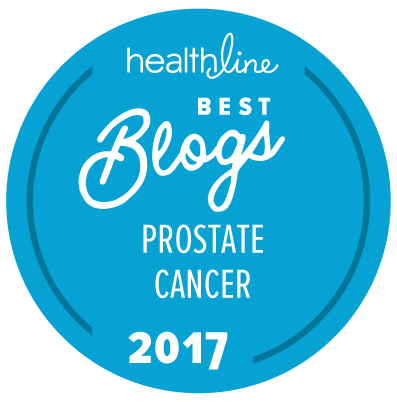 This remains a controversial topic and is likely to continue to be controversial for the simple reason that the PSA test is insufficiently accurate to be able to identify risk for prostate cancer with a high enough degree of accuracy. Dr. Mark Emberton, of University College London, London, UK, and Dr. Vincenzo Scattoni, of the San Raffaele Scientific Institute, Milan, Italy, collaborated in a presentation on “Fusion and systematic biopsy: how to do it?” Our understanding of the optimal use of systematic and fusion biopsies in specific categories of patient is still evolving. While there is increasing clarity about the roles of these two differing types of biopsy, a lot still depends on the technology available and the skill levels of physicians in implementing and interpreting relevant data. And in some counties (such as the USA) the differing cost factors can also be problematic. Dr. Nina Tunariu, of the Institute of Cancer Research and Royal Marsden NHS Foundation Trust, London, UK, spoke about “Patient-tailored staging” and the importance of the accurate use of the right methods to ensure accurate staging for each individual patient (as opposed to a “one size fits all” approach to prostate cancer staging). Dr. Henk Van Der Poel, Netherlands Cancer Institute, Amsterdam, The Netherlands, reviewed “Diagnosis: what to do and not to do?” with a clear focus on both the risks of diagnosis in men who do not need such a diagnosis (because it can affect one’s health insurance, one’s ability to get a new job, etc.) and the alternate risks of failing to recognize men at risk for clinically aggressive forms of prostate cancer sufficiently early. Dr. Johan Stranne, of the Sahlgrenska Academy at the University of Gothenburg, Gothenburg, Sweden, addressed the topic “Active surveillance: when and how?” and seems to have offered a very thorough overview of this important topic. Screening can save lives and the PSA test is very useful as an initial risk stratification tool. Stopping screening at low PSA levels is justified. An elevated PSA level alone should not trigger a biopsy. Reflex testing (i.e., the use of secondary tests like the Prostate Health Index or phi test or the 4KScore test) is strongly recommended prior to decisions about implementation of biopsies. There was no “new” information that we could see in any of these presentations, but some readers may find the information on the UroToday web site to offer useful updates about current thinking on these topics (at least from a European perspective). Once again we would like to note Dr. Klaassen’s careful summaries of presentations at the EAU update meeting (while presumably continuing to improve his own education as a Urologic Oncology Fellow, at the University of Toronto, Princess Margaret Cancer Centre, Toronto, Canada).